What I think makes it a Bright Spot is that we do see ourselves—the whole county—as a community, and that we do come together. The only Kentucky county without an incorporated city, McCreary County is a place where everyone knows everyone. As in many communities in Appalachia, residents here have seen their way of life shift dramatically as a result of the boom and bust of the coal and timber industries and declining economic opportunities. Despite living in one of the poorest counties in the state and the country, McCreary residents harbor a sense of hope for untapped potential. They embody the Kentucky commonwealth’s motto “United We Stand, Divided We Fall.” McCreary County may face many challenges, but this tight-knit community draws upon its collective strength and common goals to improve health across the county. 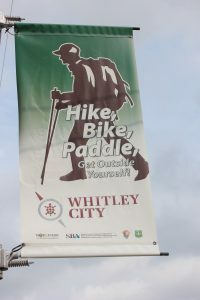 In downtown Whitley City, the county seat, the courthouse yard sprawls across the street from the local library, both welcoming venues in a community that is striving to reinvent itself as an outdoor-activity destination. McCreary County is home to approximately 18,000 people, and the population is predominantly white. Its poverty rate is triple the national rate, and the unemployment rate is 10.6 percent, much higher than the national average of 6.2 percent. McCreary County’s classification as a Bright Spot means that, on average, the county performed better than expected on a number of health outcome measures, given its characteristics and resources—that is, the socioeconomics, demographics, behaviors, health care facilities, and other factors that influence health outcomes. It does not mean that all residents here enjoy excellent health. McCreary County still lags behind national rates on many health-related indicators. Like other counties with limited resources, Bright Spot counties face challenges to attaining good health outcomes. McCreary County’s performance, however, indicates that certain county conditions or programs may be helping generate better-than-expected outcomes—and that other resource-challenged Appalachian counties may benefit from adopting similar initiatives. McCreary County represents a nonmetropolitan county in Central Appalachia. It is one of nine Bright Spot counties in Appalachian Kentucky. McCreary County is in southeastern Kentucky along the border of northeastern Tennessee. This nearly-500-square-mile area is encompassed by two outdoor gems: the Daniel Boone National Forest and the Big South Fork National River and Recreation Area. A place that offers cliffs, gorges, waterfalls, rock shelters, and natural stone arches, McCreary County is trying to reinvent itself as a tourist destination for outdoor activities. Public-sector institutions have a heavy presence here, and the majority of land in this tiny county—the forest, the park, and the prison outside of Pine Knot—is owned or managed by the federal government. Because federal land isn’t taxable, the small amount of remaining private property provides a small tax base for local revenue. Like many Appalachian counties, McCreary was once heavily dependent on coal mining, but the last mine closed in 1994. Jobs here are scarce. Most residents here work in government jobs, including for the U.S. Penitentiary and the county school system. Although the county lacks a hospital or major health center, health care is the fifth-largest field of employment. Residents work in clinics, mental health facilities, home health, and nursing home care. Outdoor Venture Corporation, a military-grade shelter and related equipment manufacturer, supplies jobs via defense and private national contracts. Educational achievement is a challenge here. Some 72 percent of residents have finished high school, and only 7.5 percent have completed college, a figure much lower than the state rate and the national average. Slightly more than 40 percent of adults have had some college education, compared with 63.2 percent nationally. Classified as economically distressed by the Appalachian Regional Commission in fiscal year 2017, McCreary County’s median household income of $24,265 is 43 percent of the national average. The per capita income of $10,880 makes it one of the poorest counties in the United States. About 47 percent of people here live in poverty, compared with 15.6 percent nationally. Residents rely heavily on government assistance: some 85 percent of eligible residents are enrolled in the Supplemental Nutrition Assistance Program (SNAP), and 17.4 percent are receiving Supplemental Security Income (SSI) or disability benefits—rates much higher than the national average. The people who live in McCreary County have a strong tradition of working together and leveraging resources in creative ways to solve challenges and address gaps. They do this through perseverance and by pooling resources and creating partnerships. There is a deep commitment of neighbors eager to help neighbors in McCreary County. Intra-county cooperation and resource sharing: The absence of a hospital or major health center forces McCreary residents to pool resources and focus on efficiency. The community is close-knit, with a strong local volunteer culture and initiatives focused on perceived community health issues. The library, religious organizations, and organizations that deliver health care services appear strongly connected to each other and to the community at large. Presence and sustainability of community-focused nonprofits: Nonprofit organizations depend on the support of the communities they seek to help. The longevity of the nonprofits in McCreary County indicates strong community support and a higher likelihood that the nonprofits have aligned with the specific needs of the community by matching the values and culture of its residents. It is also apparent that some nonprofits, like the Christian Care Center, are serving as safety net institutions. Strong integration of health services and systems: McCreary County benefits from cooperation among a regional health department, emergency medical services, a home health agency, a nursing home, a mental health program, and primary care clinics that work together to provide essential primary, preventive, and chronic health care. Adanta, the behavioral health and substance abuse program, has strong partnerships with the court and school systems. Making health a shared value: McCreary County leaders recognize the benefits of a healthy lifestyle. Elected officials invest in wellness programs, health care services, and recreation, and encourage residents to eat fresh, nutritious foods and take advantage of the natural environment to increase their physical activity. The county has also invested in the library as a resource center for health and social support information. Like other Bright Spot counties explored in this report, McCreary County has used a variety of approaches to elevate the physical, social, and economic health of its residents. These actions fall into four overarching categories of leadership, cross-sector collaboration, resource sharing, and local providers committed to public health. Strong, sustained leadership was evident in all of the Bright Spot counties studied. In McCreary County, leaders are seen in all walks of life—from the local librarian and minister to a county official, a social worker, and a local emergency medicine professional. 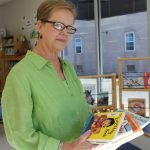 One example is Kay Morrow, who runs the McCreary County Public Library. The library serves as an important connector and resource to residents, community groups, organizations, businesses, churches, and schools. 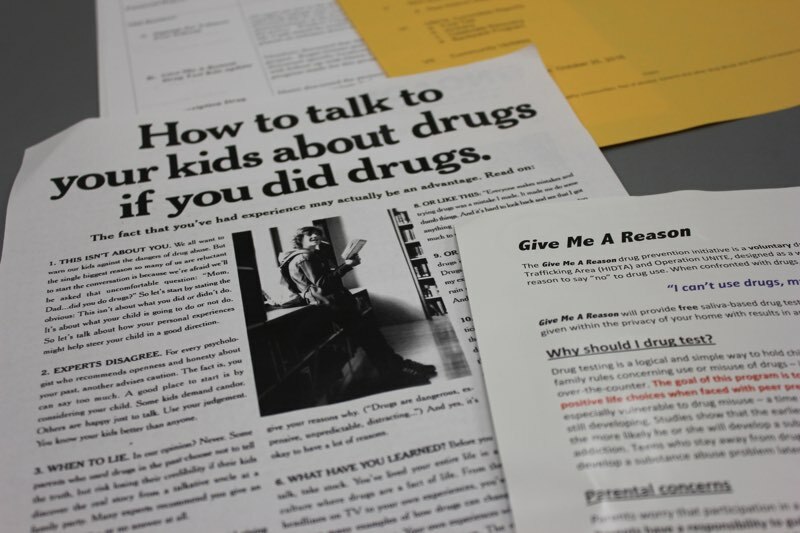 When residents enter, they are exposed to literature addressing drug abuse, infant care, upcoming health-focused community events, and details of library programs. A trained social worker, Morrow helps residents apply for utility subsidies and health insurance via the library’s computers. The library’s meeting room serves as a place for healthy-cooking classes, seminars on finance, and family reunions. Always eager to make a better life for residents here, Morrow is spearheading efforts to rebuild the crumbling sidewalks downtown, secure more lighting at night, and organize a downtown walking club to boost physical activity. 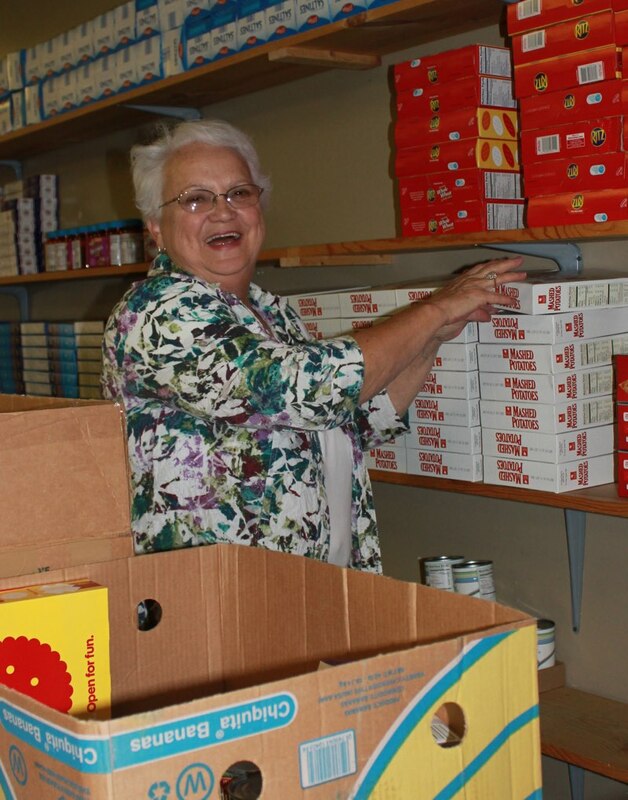 Another example is Sue Singleton, who oversees the McCreary County Christian Care Center’s food pantry. She has seen too many needed programs wither. But that hasn’t deterred this dynamic grandmother from pushing for services she knows residents need, including a needle exchange program for intravenous drug users. 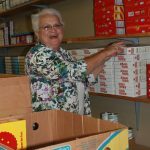 Each day the center provides food to those in need; and medical services—including supplying medicine to residents without insurance or means to pay—are made possible due to donations from local business, churches, individuals, and small grants. The food pantry is open four days a week and supports more than 700 families each month. 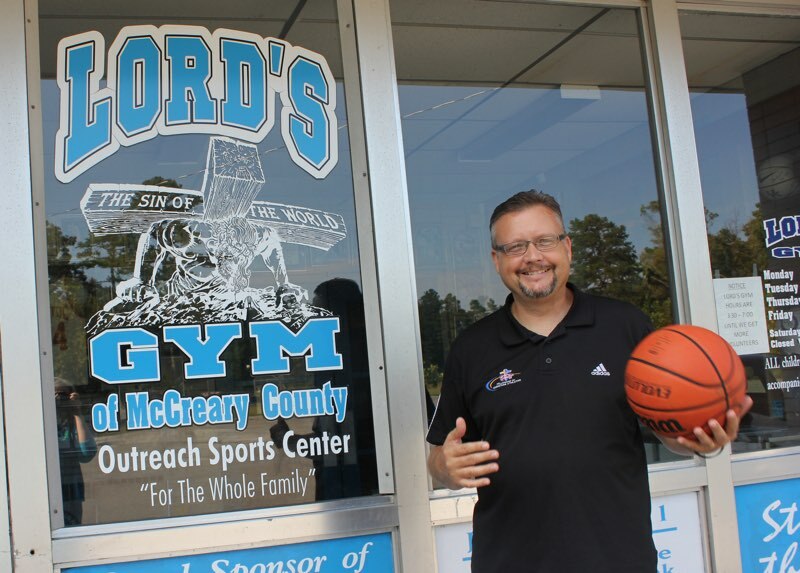 And there is also Reverend Braxton King, who directs a nonprofit community center called Lord’s Gym, which provides gym participants with support and preventive information about substance abuse to combat the drug epidemic in a county where drug abuse and the rise of hepatitis are major concerns. Local churches work with Reverend King on other health initiatives aimed at promoting healthy behaviors among young people and providing support for those in need. About 150 children participate. These are some of the people who with dignity, resolve, and a sense of humor help position McCreary County as a model of success despite its challenges. This cohesive group could easily succeed in a more economically vibrant community but choose to stay—because McCreary County is home. McCreary County offers creative examples of how organizations work together to break down barriers that stand in the way of good health. For example, the Christian Care Center is consistently engaging with the community beyond its walls. Though it is primarily a food bank, the center also offers free over-the-counter medicine and medical supply rentals. 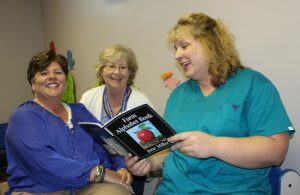 The McCreary County Public Library is also a great example of an organization doing all that it can to promote health. 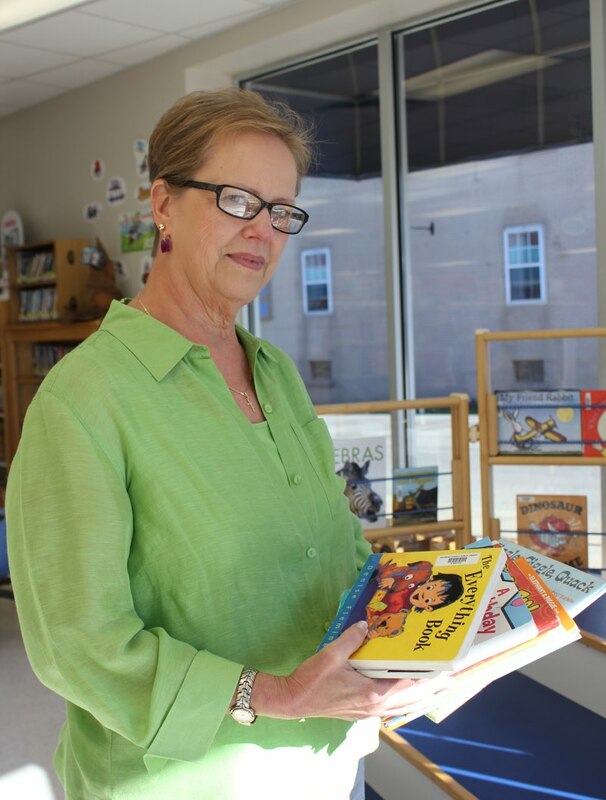 Director Kay Morrow understands that the library is an important component of a community that can offer a lot more than books. It actively works to promote community events and is an important driver of creating a healthier and more equitable McCreary County. And McCreary residents have learned to be creative with how they promote health. Churches play a big role here, encouraging congregants to participate in walking groups and become physically active to stay healthy and reduce chronic disease. They also use social media to convey local health information. The Adanta Regional Prevention Center is a great example of how organizations work across sectors. The center’s reach is the ten-county Lake Cumberland Area. In McCreary County, the program focuses on suicide prevention and substance abuse prevention and provides clinical services and access to other regional resources. Adanta has worked with the McCreary County fiscal court on a countywide smoke-free-air ordinance and other population health policies. It is also involved in the care and support of pregnant women through the Kids Now Plus Program, which offers classes to teach pregnant women how to improve their chances of having a successful birth. It provides incentives to encourage women to attend the classes and provides food and baby items to help children get a healthy start. Kids Now Plus also offers case management assistance, transportation to doctor visits, housing, and other health-related classes. Adanta also works closely with schools, advocating for the implementation of evidence-based programs by teachers. Sherri Estes, program director for the McCreary County Clinic, which is where Adanta is situated, says relationships with local teachers are key to the program’s success. Teachers know the families and the impact that substance abuse is having on them, she says, adding that teachers see the struggles students are facing—they are unfocused in school, falling asleep in class because they didn’t get a full night’s sleep, or hungry. Estes says the teachers are aware of what kinds of things kids are going through and what can be done to help them. Adanta also works with a community-based coalition to achieve goals. This enables it to work with key stakeholders in the community and make sure everybody is working together on planning efforts around health. The absence of a hospital or major health center forces McCreary County residents to pool resources and focus on social connectedness. The library, religious organizations, and organizations that deliver health care services appear strongly linked to each other and to the community at large. Clinics, a home health agency, a nursing home, and a mental health program are the main source of care options for McCreary County residents. Outside the county, the Lake Cumberland District Health Department and a 25-bed critical access hospital in neighboring Wayne County provide primary, preventive, emergency, and surgical care. McCreary County is a close-knit community with a strong local volunteer culture and initiatives focused on addressing community health challenges like drug abuse, diabetes, and chronic disease. At one time, it had a formal interagency council that met monthly to share initiatives and resources, but the council has not met in five years, and a substance abuse coalition is trying to revive it. In the meantime, an informal council has developed to address substance abuse, while multiple community-based programs have organized to combat substance abuse and support behavioral health. Most involve nonprofits—such as Lord’s Gym, Christian Care Center, and the Adanta Regional Prevention Center—that rely on fundraising, volunteers, and/or government subsidies. Though most organizations appear to struggle with budget constraints, constant fundraising, and limited purchasing power, there is strong evidence of committed local leaders who derive satisfaction from helping people. For example, many residents here lack access to transportation to health care facilities. A regional transportation program, Rural Transit Enterprises Coordinated, is a volunteer group that provides on-demand transport services for residents in need. There also appears to be strong cooperation among organizations on critical issues like substance abuse and child development. 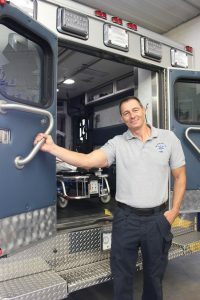 According to Jimmy Barnett of the McCreary County Emergency Medical Services (EMS), grants from Assistance for Firefighters, Homeland Security, the South Kentucky Rural Electric Cooperative Corporation, and the U.S. Department of Agriculture Rural Development bolster health programs in the county. Barnett said the EMS program is working to build a stronger relationship with Somerset Community College in neighboring Pulaski County. He also says there is collaboration between county and state road crews to clear thoroughfares specifically to permit ambulance access. As the sole source of emergency medical transport, the McCreary County EMS provides a much-needed service to the community. During the winter, a combination of weather and terrain make travel in the county hazardous. When conditions are too treacherous even for the four-wheel-drive ambulance, EMS calls on the fire department to provide more capable vehicles. EMS is more than a transport provider, however. Coordinator Jimmy Barnett often visits high schools to teach students about overall health, warning signs of disease, healthy eating habits, and the benefits of proper exercise. Barnett finds students are often very interested in this information and usually ask numerous questions regarding the health of their parents and grandparents. But while the county is known for its exceptional EMS training program, it doesn’t reap all of the benefits it could from it. Recruits often train here and then leave to work in an adjacent county that offers higher pay. There is a frustration that the program has become a virtual revolving door rather than a place to build a stable work staff that can support local needs. Tracy Aaron, health education director for the Lake Cumberland District Health Department, manages all health educators in McCreary County as well as health education–related programs and initiatives. During her 22 years with the department, she has overseen a county health assessment, community health improvement plans, and nutrition and physical activity initiatives. She is also responsible for maintaining, supporting, and facilitating coalition development in the county. Aaron is credited for spearheading many of the health initiatives in the county, including a focus on school-age children, providing them with education on reproductive health, tobacco use cessation, and risky behavior prevention. The district health department also employs a child care health consultant who provides education, technical assistance, and training for the county’s licensed child care providers and those certified to provide in-home care. And it supports preventive initiatives like the farmers’ market and smoke-free restaurants. There is a lot of education that goes on out there…and education is wonderful. But it’s taking that next step. It’s got to be an easy something that I’m going to do for me to be healthier. There [have been] changes made—McCreary has become a certified ‘trail town’ in the last two years. The farmers’ market has started in the past two years. We have encouraged and worked with restaurants that have voluntarily gone smoke free. Work sites have done that, too. So, we are making progress in the community when we think about the health of the communities. Health department employees are eager to highlight McCreary County as embracing better health. Even elected Judge Executive Douglas Stephens— who compares his position to that of a mayor—enthusiastically touts the importance of Appalachian heirloom vegetables and the creation of a new food economy based around local agriculture. The fledgling farmers’ market here shows signs of growth. But with extension service programs stretched to the limit here, the local food movement will have to be championed by other organizations. Although Stephens laments that a wellness program offered to county employees was discontinued due to lack of participation, there is a push to get residents here to be more physically active. With nearly 22 percent of the population under 18, there is much concern about the health care of children. 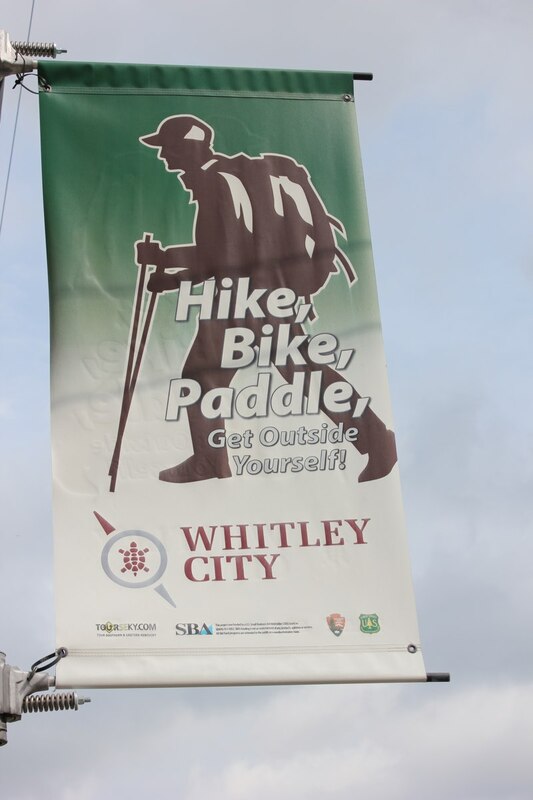 Street banners encourage residents to “Hike, Bike, Paddle, Get Outside Yourself” to take advantage of outdoor living. The McCreary County Cooperative Extension sponsors a walking/hiking club, and, with more tourists visiting the county to hike, local residents are beginning to engage in outdoor activity as well. There are many organizations working on educating the community on the benefits of fresh and nutritious foods—evidenced by the growing farmers’ market and the many county residents who continue to garden and can their own fresh vegetables. Hunting and fishing for food is still a big part of the community. Kristina’s Kitchen, a health-food bakery and vegetarian café, sells nutritious food five days a week and offers free instruction on cooking meals. Programs like Grow Appalachia and Community Farm Alliance are strengthening the infrastructure to grow the farmers’ market and teach new ways to recruit farmers and increase production. People who live in McCreary County are committed to making it a good place to live, work, and visit. While poverty is high and jobs are scarce, the strong sense of community is what keeps people focused on improvement every day. They recognize that a creative use of limited resources, commitment, and collaboration are vital ingredients for success. They work together to create local dynamic networks and programs, and will partner with organizations outside the county when needed. Residents share a sense of connection, faith, and resourcefulness that can take many forms, including community networking at the grocery store, the local church, club meetings, the library, or the Friday night football game. McCreary County is changing as it reinvents itself as a tourist spot for outdoor enthusiasts. But the county continues to focus on trying to create opportunities for better health by encouraging neighbors to work together on solutions and fostering strong social connections so residents feel supported. By harnessing all of its strengths, from tapping into the potential of residents to engaging with and sustaining leaders to stretching limited resources in creative ways, McCreary County is finding new avenues to make sure health and well-being remain a top priority for everyone who lives there. Dewalt, Darren A, Nancy Berkman, Stacey Sheridan, Kathleen Lohr and Michael Pignone. 2004. “Literacy and Health Outcomes: A Systematic Review of the Literature.” Journal of Internal Medicine 12 (December 19): 1228-1239. Accessed July 2017. Hamoudi, Amar, and Jennifer Beam Dowd. 2013. “Physical Health Effects of the Housing Boom: Quasi-Experimental Evidence from the Health and Retirement Study.” American Journal of Public Health 1039-1045. Hilbrand, Sonja, David A. Coall, Denis Gerstorf, and Ralph Hertwig. 2017. “Caregiving within and beyond the family is associated with lower mortality for the caregiver: A prospective study.” Evolution and Human Behavior 397-402. Kentucky Department of Travel. 2017. McCreary County Tourist Commission. Lake Cumberland District Health Department. 2014. “2014 Community Health Assessment.” Lake Cumberland District Health Department. Accessed March 2017. US. Census. 2015. Single Parent Households with Children as a Percentage of Households with Children in McCreary County, KY. Retrieved from FRED. Accessed July 11, 2017. See Table 10 in the data appendix at the end of this case study for a full list of actual health outcomes for McCreary County compared with predicted outcomes. For details on the outcome measures, see the data files accompanying the report Identifying Bright Spots in Appalachian Health: Statistical Analysis. Table 8 in the McCreary County data appendix at the end of this case study provides a quantitative profile of county characteristics. For a full explanation of the methodology, see Appendix B: Research Approach. For a list of key informants interviewed for this county, see Table 9 in the data appendix at the end of this case study.